We received notification from Apple today, July 28, 2017 at 10:53PM CST, that the VyprVPN iOS app “will be removed from the China App Store because it includes content that is illegal in China for legal reasons.” Early research and news reports indicate that all major VPN apps for iOS have been removed from the China App Store. Users in China accessing a different territory’s App Store (i.e. they have indicated their billing address to be outside of China) are not impacted; they can download the iOS app and continue to receive updates as before. VPN support is built into the iOS operating system, so users can continue to use VyprVPN on iOS without the app by using our manual iOS VPN setup instructions. Despite the removal of the VyprVPN app from the App Store, the VyprVPN service remains accessible to all users in China and is not currently blocked. Golden Frog’s core mission is to fight for a free and open Internet experience for users around the world, so we will file an appeal with Apple — but I am not hopeful. When it comes to their App Store Apple is the judge, jury and executor, and now it appears the Chinese government is Apple’s overlord. 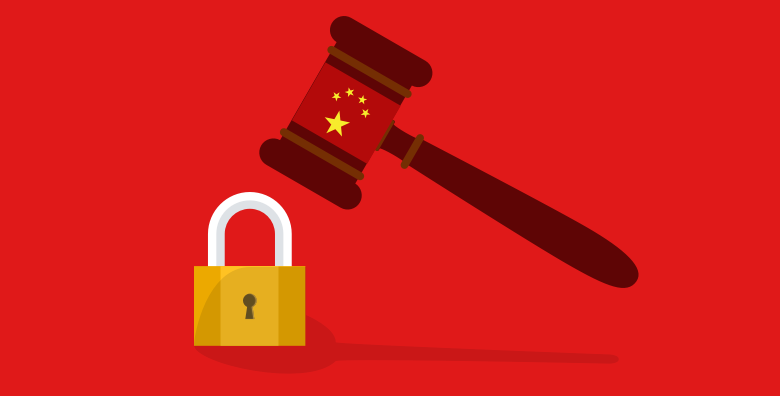 We were excited to file an amicus brief in support of Apple in their backdoor encryption battle with the FBI last year, so we’re extremely disappointed that Apple has bowed to pressure from China to remove VPN apps without citing any Chinese law or regulation making VPNs illegal. Apple CEO Tim Cook recently said “accessibility is a human right.” If Apple views accessibility as a human right, we would hope Apple will likewise recognize Internet access as a human right (the UN has even ruled it as such!) and would choose human rights over profits. “Apple is founded on giving people power to create things, to do things they couldn’t do without those tools. We’ve always viewed accessibility as a human right, and just like human rights are for everyone, we want our products to be accessible to everyone. It’s a basic core value of Apple. We don’t make products for a particular group of people; we make products for everybody. We feel very strongly that everyone deserves an equal opportunity and equal access. We don’t look at this thing for a return on investment. I’ve been asked that before and the answer is no. We don’t care about that. The blocking of VPN apps in the app store is a small setback, but we will continue to work hard to make the Internet accessible to Chinese users. If you are travelling to China and would like to utilize VyprVPN, please reference the following article on our Support Center: Tips for Accessing our Website & Apps from China. Press Inquiries: If you’re a reporter or news outlet seeking additional details about the situation in China and/or VyprVPN’s current status, please send an email to pr@goldenfrog.com.